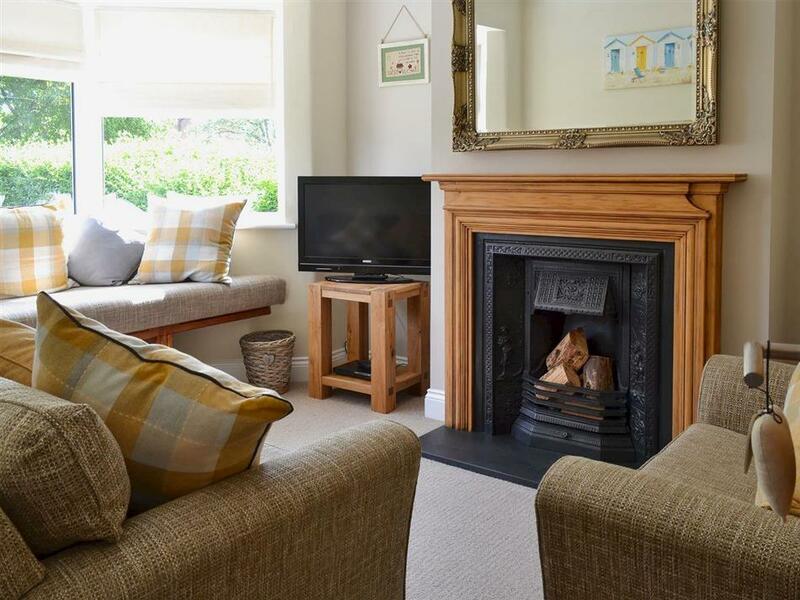 Apple Tree House in Scarborough, North Yorkshire sleeps 6 people. Apple Tree House in Scarborough is perfect for that family holiday and just a short stroll from the North Bay in Scarborough. Apple Tree House is ideally suited to those with children as it has an enclosed rear garden with a good sized lawn for them to play. The bedrooms are decorated to a good standard with a children’s theme in the bunk bedroom. All bedrooms have TVs and the children’s rooms also have a built in DVD player. The kitchen/dining room has all the modern conveniences required for that family holiday with a spacious area that leads out through the French doors to the patio and lawn. 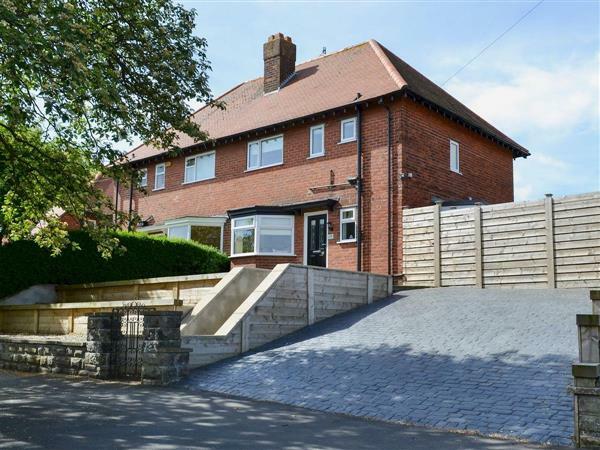 This delightful, semi-detached house is situated on a tree lined avenue close to the shops, bars and restaurants. Just around the corner is Peasholm Park, a wonderful ornamental park with stunning gardens and a large lake where you can hire pedalos and rowing boats. In the summer months they also re-enact a wartime battle with model naval ships which many children have enjoyed over the years whilst sat eating their picnics on the grass. Next to the park is the largest open air theatre in Europe with entertainment throughout the summer months. The Alpamare waterpark is about 10 minutes’ walk away with water slides, a wave machine, large swimming pools, and a sauna for the adults. Scarborough has two bays, North and South Bay with long, flat Marine Drive to stroll along. The two bays are separated by the castle which sits high on the hillside. At the far end of the bay is the Sea Life Sanctuary, a great place to visit with the children. The long, sandy beaches have won many awards over the years. Both bays have traditional seaside donkeys and North Bay is the quieter of the two. Further down the coast are the smaller resorts of Filey and Flamborough Head and to the north there’s the bustling seaside town of Whitby. For a perfect family holiday home, you will not be disappointed with Apple Tree House. The beach is ¼ mile from Apple Tree House in Scarborough. With the shop 200 yards, and the pub & restaurant are 300 yards from Apple Tree House. Ground Floor: Living room: With 42’’ Freeview TV and DVD player. Kitchen/dining room: With breakfast area, multi-fuel burner, gas/electric range, microwave, fridge/freezer, dishwasher, washing machine, wooden floor and patio doors leading to garden. First Floor: Bedroom 1: With king-size bed and Freeview TV. Bedroom 2: With double bed with single bunk over, Freeview TV and DVD player. Bedroom 3: With bunk bed, Freeview TV and DVD player. Gas central heating, gas, electricity, bed linen, towels and Wi-Fi included. Initial fuel for multi-fuel burner included. Travel cot and highchair available on request. Welcome pack. Enclosed lawned garden with patio and garden furniture. Bike store. Private parking for 2 cars (on steep drive); additional on road parking. No smoking. Please note: Couples and family bookings only, no hen or stag parties. Holidays at Apple Tree House run from Saturday to Saturday. Pets allowed at Apple Tree House. For a better idea of where Apple Tree House is, you can see Apple Tree House on the map below. Apple Tree House is in North Yorkshire; should you be on the lookout for a special offer, you can find all the special offers in North Yorkshire. It's always worth checking to see what is on offer at the moment. Do you want to holiday near Apple Tree House (UK2281), you can see other cottages within 25 miles of Apple Tree House; have a look to find your perfect holiday location.